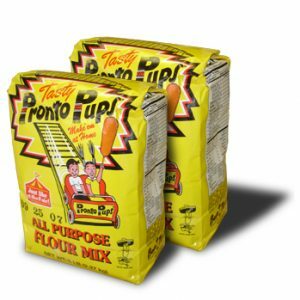 One 5 lb bag Pronto Pup corn dog Flour Mix w/sticks – Free Shipping! 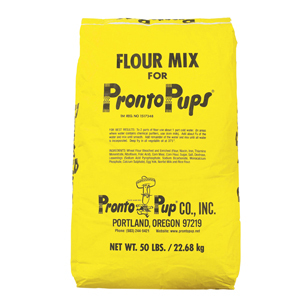 | Pronto Pup Co., Inc.
Home / Pronto Pup Supplies / Flour Mix / One 5 lb bag Pronto Pup corn dog Flour Mix w/sticks – Free Shipping! 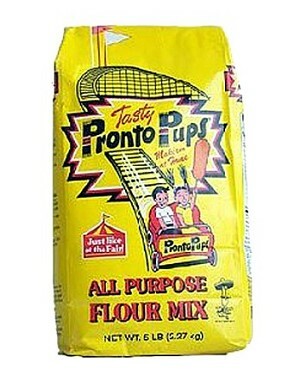 One 5lb bag pronto pup mix. (with sticks) INCLUDES SHIPPING! 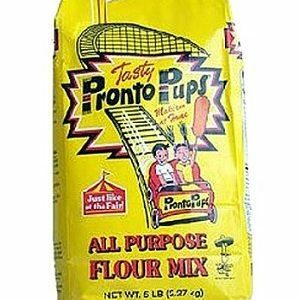 Offer good for US orders only.